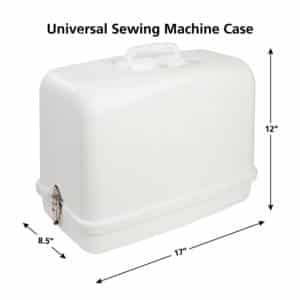 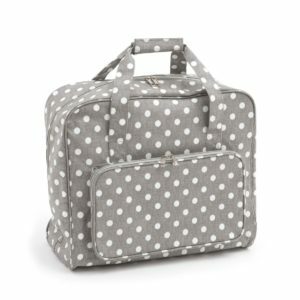 This machine case can fit most sewing machines or serger. 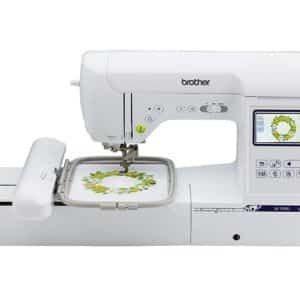 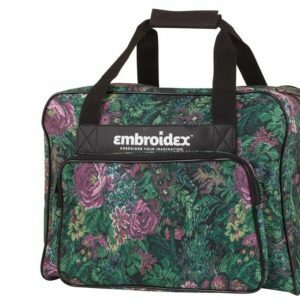 Perfect for sewers, quilters, and designers. 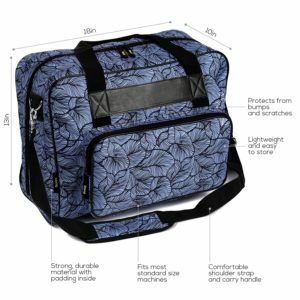 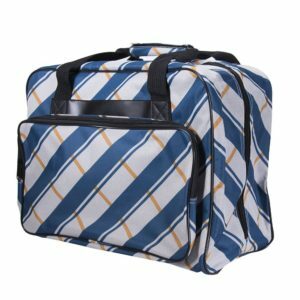 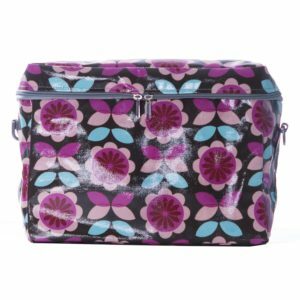 This bag features Ballistic Nylon construction, top and front openings for easy access, versatile pockets keep all your sewing tools organized, 2 outside straps secure the stacking items (store the straps inside the front and back zipper pockets), mesh pockets for your fabrics, strong frame protects your machine, and removable telescopic puller bar. 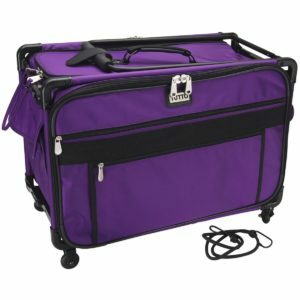 Unique features: turns on a dime, easy to lift up, light, and easy to pull, stacks up to 150 pounds, and folds to 3″ deep for storage. 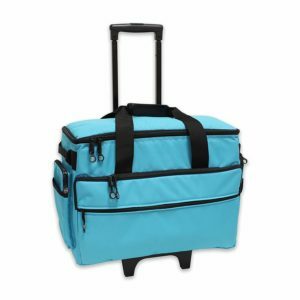 Available in a variety of colors.